We are gathered here today to mark the 28th anniversary of a momentous occasion when His Holiness the Dalai Lama, the guardian protector and guiding light of all Tibetans, whether living in exile or those left behind in their homeland, and a champion of world peace was conferred the Nobel Peace Prize, an award renowned across all corners of this globe. For his accomplished and still continuing secrets of body, speech and mind deeds of truly vast expanse, expended with free abundance to suit all desires for the benefit and wellbeing of all sentient beings, resulting in debts of gratitude impossible of repayment, I, on behalf of the Tibetan Parliament in Exile, offer my commemorative tribute and greetings of auspiciousness to His Holiness the Dalai Lama with utmost body, speech, and mind obeisance. It was on the 10th of December 1989 that His Holiness the Dalai Lama was presented with this globally most acclaimed of award, the Nobel Peace Prize. 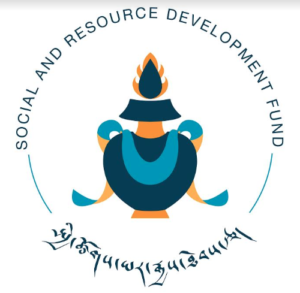 In this connection it bears pointing out that all the deeds of His Holiness the Dalai Lama were designed to serve others in general terms and, in particular, the Tibetan people and their culture to ensure their sustenance, progress and revival in ways which are beneficial to the whole world. For these purposes, His Holiness the Dalai Lama steadfastly adhered to the method of nonviolence rooted in the profound Buddhist teachings. It was on the bedrock of this foundation that His Holiness the Dalai Lama made efforts to accomplish the just cause of Tibet and, likewise, to bring effective benefits to this world from the perspective of a long term vision by means of bringing into existence mutual appreciation, fraternal relationship, justice and compassion, in this world. On this basis, His Holiness the Dalai Lama has made, and continues to make, admirable noble efforts directed at the realization of meaningful peace that is beneficial in the attempts to resolve the different kinds of conflicts taking place in this world, to the assumption of responsibilities based on respect for human rights, and to the protection of the natural environment. These have won him spontaneous attraction from people across the world and led to the awarding to him of an honour of such repute as the Nobel Peace Prize. In this year of 2017, His Holiness the Dalai Lama has continued to carry forward his highly admirable deeds, visiting four countries – namely the United Kingdom, Germany, Italy and Latvia – as well as New Delhi and other cities in India, which he still continues to tour. During the visit to Italy, His Holiness the Dalai Lama said that millions of people had lost their lives as a result of violent conflicts afflicting mankind. In addition, he added, the world’s economic situation as well as the conditions of the natural environment were continuing to deteriorate. He continued that we should therefore strive to make the 21st century a century of tolerance and the recourse to dialogue as the means to resolve disputes. He said that to bring that about, education had become of utmost importance. However, he expressed disappointment that the education system today lacked emphasis on developing innate human values. And he said that it was therefore most important that the modern education system should incorporate the promotion of secular ethics and the positive values inherent in human nature as they are closely related to our emotion, so that we may thereby be able to raise understanding about the system and working of the human mind. And he also made an appeal to everyone to practice compassion and to recognize the fact that all human beings are same in their essential nature. In addition, he said the real source of peace of mind was love and compassion, not just the love that that we feel for those who are close and already affectionate towards us, but an unlimited sense of altruism, a love that could be extended to all beings, including one’s enemies, adding that this was something well within the capability of a human being to achieve. Also during his recent visit to Italy, His Holiness the Dalai Lama was honoured with awards which recognized him as a champion of world peace through non-violent means, as well as with citations and an honorary citizenship in recognition of his work towards global peace and justice, and, likewise, for his enormous deeds in terms of imparting knowledge about science and philosophy based on his knowledge of Buddhist teachings. The Nobel Peace Prize for the year 2017 has been awarded to the International Campaign to Abolish Nuclear Weapons (ICAN) which had indeed made vigorous continued efforts to eliminate nuclear weapons from across the world. However, there is no certainty at all what transformative turn the situation in this world today will take in the near future. Not only that, there is unsettled turbulence in the situation in many parts of this world. Given such a state of affairs, there is no doubt about the fact that the need for the work of this campaign organization has become ever more urgent and imperative. This and the campaign organization’s resolute and determined efforts carried out with courage have been given a clear recognition with the awarding of the Nobel Peace Prize for this year. This being the case, we too take this opportunity to offer the International Campaign to Abolish Nuclear Weapons our compliment and congratulations, expressing it with appreciations for its noble efforts. The Tibetan struggle is also strongly concerned with issues of justice and human rights. It was for this reason that Dr. Zeid Ra’ad Al Huessein, the United Nations High Commissioner for Human Rights, discussed the human rights situation in Tibet at the 36th session of the United National Human Rights Council, which is the world body’s apex human rights forum. Not just that, he, at that time, strongly highlighted the situation of the human rights and religious freedom of the Tibetan people with particular focus on the late revered Tulku Tenzin Delek Rinpoche and the Tibetan language campaigner Mr. Tashi Wangchuk. 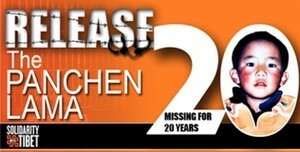 In this connection he, likewise, expressed his serious concern on the circumstances surrounding the death in prison of Tulku Tenzin Delek Rinpoche and the ethnic Chinese democracy activist and Nobel Peace Prize winner Mr. Liu Xiaobo, citing them as a reflection of even more serious deterioration of the human rights situation in China. Besides, the United States of America, The United Kingdom, the European Union, Switzerland, and Germany made calls for more efforts than ever before by the international community to safeguard respect for human rights. Outwardly, China presents a dignified facade of being a respectable and responsible government. However, in reality, in September this year, the United States-based human rights monitoring group Human Rights Watch stated in its annual report that the government of China had made every possible effort by deploying all the enormous resources at its disposal to obstruct all the ongoing measures being undertaken by the United Nations Organization directed at protecting human rights. Likewise, the State Department of the United States government in its International Religious Freedom Report for 2016 presented a detailed picture of how Chinese authorities had engaged in widespread interference through restrictions and harassment of Tibetan Buddhist monks and nuns in their routine religious practices in their monasteries and nunneries. 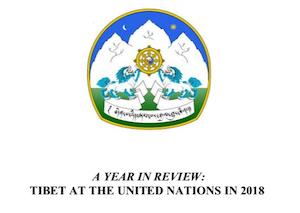 This report surely afforded a clear understanding of the human rights situation in Tibet today. Likewise, Professor Philip Alston, the Special Rapporteur on extreme poverty and human rights of the United Nations, recently undertook a visit to China in order to gain first-hand knowledge on the situation there and in Tibet. And he reported that there had so far been no positive change in the state of extreme poverty in Tibet and other ethnic minority areas of the People’s Republic of China. On the contrary, he pointed out, the reality of the situation in Tibet was that there was still no bridging of the gap in disparity in income and wealth which he added was deeply problematic. In October 2017, the 19th National Congress of the Communist Party of China was held in Beijing at which the members of the Political Bureau of the Central Committee of the Communist Party of China, the members of the Standing Committee of the Political Bureau, and the General Secretary of the Communist Party of China were elected. It was decided at the congress to incorporate President Xi Jinping’s thought into the constitution of the Communist Party of China. And so, like Marxism and Leninism and the Mao Tsetung thought, the position and the powers of the President Xi Jinping were made supreme through the party congress. Among the 14 bullet points in which President Xi Jinping put forward his thought for attaining comprehensive accomplishments, one could discern such positively termed section of goals as ‘continuing to comprehensively deepen reform’, ‘seeing that the people run the country’, ‘ensuring every dimension of governance is law-based’, ‘ensuring and improving living standards through development’, ‘ensuring harmony between human and nature’, and ‘promoting the building of a community with a shared future for mankind’. And it is not as if one cannot entertain any hope as much for China as especially in the case of Sino-Tibetan relations for these to lead to a change in the positive direction. In fact, it has become a matter of importance for Chinese President Xi Jinping to adopt a policy of liberalism and thereby make efforts to gain a position of respectability in the international community and, in particular, to strive to resolve the issue of Tibet on the basis of taking due cognizance of the aspirations of the Tibetan people. Since the 27th of September 1987, there have been a series of peaceful protest rallies in Tibet led by the new generation of Tibetan people from among those who had been left behind in their Chinese ruled homeland. These included, in particular, the large-scale peaceful Tibetan uprising protests of the Earth-Mouse Year in 2008 and the peaceful protest by self-immolation by the monk named Tenga-la on the 26th of November this year in Karze Dzong, making a call on the government of China for freedom in Tibet. The monk passed away after holding that protest. Since 2009, a total of 150 Tibetan people in Tibet, including the young, adult and old; men and women; monks and nuns, as well as laypeople, have been driven to make a high sacrifice of giving up their precious lives by setting themselves on fire as an act of peaceful protest. What all these show is obvious to everyone that they resulted from the government of China’s continued implementation of a hardline policy on Tibet whose consequence is a brutal violation of the human rights of the Tibetan people beyond all limits. With this perspective in view, we once again take this opportunity to emphatically remind the leaders of the People’s Republic of China to bear full responsibility for this tragic situation in Tibet today. 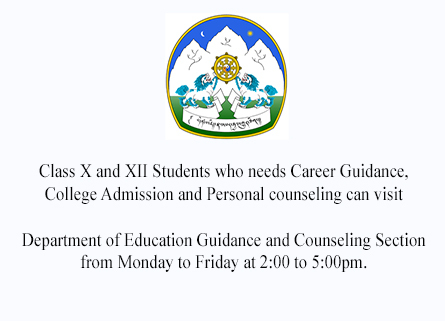 Regarding information about the situation in Tibet today, it continues to be as difficult to obtain as ever. And this year, in the run up to the holding of the 19th National Congress of the Communist Party of China in Beijing and thereafter, restrictions on the ordinary Tibetan people on accessing the internet through their mobile phones were considerably strengthened. In its report ‘Freedom of the Net 2017 – Manipulating Social Media to Undermine Democracy’, Human rights organization Freedom House – which is based in Washington, DC, capital of the United States of America – ranked China as the country with the world’s worst internet freedoms for the third consecutive year. The report found that a new set of internet regulations which took effect this year had further tightened already heavily restricted access to cyber space for Chinese citizens. 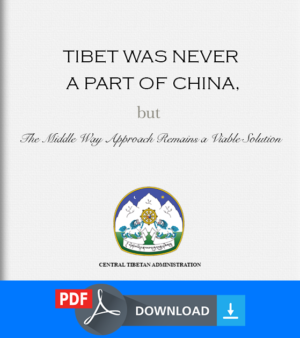 Likewise, the report also highlighted the fact that China had frequently imposed restrictions on the use by the ordinary Tibetan people of their mobile phones to access the internet and that this practice was still continuing. From about the year 1974, His Holiness the Dalai Lama has, in a desire to make an effort to reach a peaceful settlement between Tibet and China, and with utmost sincerity of purpose, adhered to a mutually beneficial Middle Way Policy. 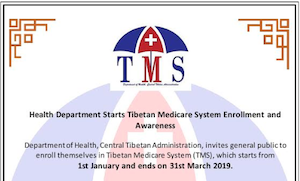 This Middle Way Policy has also been formally adopted by the democratically elected law-making body of the Tibetan people, the Tibetan Parliament in Exile, by means of a resolution passed. 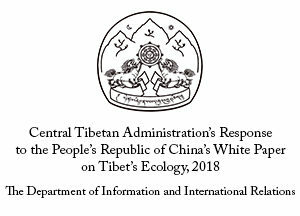 And it is absolutely clear to the government of China that this policy which calls for a genuine and meaningful regional ethnic autonomous governance for all the Tibetan people is fully in accord with the rights legally guaranteed to them within the framework of the Constitution of the People’s Republic of China. And it knows that this policy is not in any sense separatist in nature and character. Nevertheless, the government of China keeps using the term ‘separatist’ in this context at every opportune moment. It was in keeping with this attitude that this year, an official of the United Front Work Department of the Communist Party of China proclaimed to the world his government’s hardline policy of not showing any leniency for all times to come to any leader of any foreign country who had met with His Holiness the Dalai Lama. Nevertheless, although some nations which are under China’s dominion economic power and influence may possibly surrender to this threat from Beijing, countries of power and those that give importance to human rights will surely never cower to implement such a demand. What is of real, practical value, on the other hand, is that there is an urgent need to realize that a peaceful resolution for the immediate as well as long term interests of both Tibet and China, and for the mutual benefit of the two sides, is the real need of the hour and accordingly efforts should be made as soon as possible to establish contact and hold discussions between representatives of His Holiness the Dalai Lama and the government of China. We take this opportunity to reiterate our call accordingly. 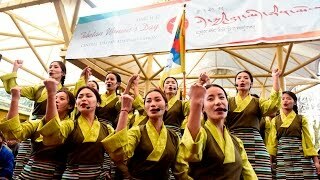 We have nothing but praises of the highest order with a sense of solidarity for the patriotic Tibetan men and women in Tibet, whether since dead or alive, for their selflessness, heroism, and fortitude and for their incomparable deeds. We are also appreciative of all the Tibetan people living in exile for safeguarding their ethnic identity and for their continued active assumption of responsibility in the struggle for Tibet by all means at their disposal. At the same time it bears reminding that all Tibetans should strive to accumulate merits by carrying out positive deeds in an effort to achieve the realization in all speediness the just cause of Tibet and so that His Holiness the Dalai Lama may live for a hundred aeons and all his wishes may be seen fulfilled in a spontaneous manner. And in order that the fraternal bond and unity of the Tibetan people may endure for all times to come, all Tibetans should never slacken in making their efforts for their cause in the right direction by exercise diligent care at all times. On the other hand, we deem it particularly necessary to be emphatic in appealing to everyone to ensure that they do not allow to slip on the internet social media forums any message which is of such extreme nature as to have the effect of gladdening our enemies’ hearts and rendering those close to us crestfallen, so to say, for they will be the cause of the destruction of the Tibetan people’s fraternal unity. Likewise, we should keep with deep fondness in the very centre of our hearts His Holiness the Dalai Lama’s instructive teachings about the importance of adhering to the path of nonviolence and, on that basis, to bear responsibility to work for the benefit of the world in general and in particular for the immediate and long term interests of Tibet as a whole, for they are concerned not just with a sense of love for ourselves but also with the need to take active and diligent interest in matters of concern for the general good of everyone. This then is the essence of the objective underlying our commemorating of the gratitude we owe to His Holiness the Dalai Lama and our observance of this anniversary. We are accordingly emphatic in appealing to everyone to keep this in mind and implement it in the day to day conduct of their life. 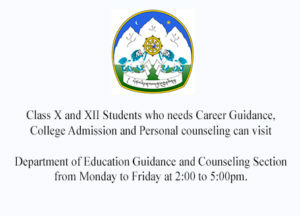 Likewise, this day is also being marked with a grand International Himalayan Festival of Dharamshala. This festival is an occasion for the people of the local host community to offer their high salutations to His Holiness the Dalai Lama for his noble deeds and it also symbolizes ties of friendship and unassailable sense of fraternity between the community and the Tibetan people. Hence, we offer our appreciations to everyone involved in organizing this festival. Besides, to all the concerned nations offering support for the Tibetan cause, and, in particular, to the central as well as concerned state governments and the people of India, who have given support and material facilities for the general wellbeing of the Tibetan people and in the efforts to realize their just cause, we owe such gratitude as could hardly ever be forgotten and we take the opportunity offered by this occasion to express our heartfelt appreciations to them. Finally, to conclude, we pray that His Holiness the Dalai Lama may live a long life and, on that basis, see all his wishes fulfilled in a spontaneous manner, with peace and wellbeing prevailing among all the sentient beings of this world and the just cause of Tibet being seen realized in all speediness. Delivered on 10th of December 2017. * In case of any discrepancy between this translation and its Tibetan original, the latter should be considered as authoritative and final. I read this article and found it very interesting, thought it might be something for you. The article is called Statement of Tibetan Parliament-in-Exile on the 28th Anniversary of Conferment of the Nobel Peace Prize to His Holiness the Great 14th Dalai Lama and is located at https://tibet.net/2017/12/statement-of-tibetan-parliament-in-exile-on-the-28th-anniversary-of-conferment-of-the-nobel-peace-prize-to-his-holiness-the-great-14th-dalai-lama/.